Come out on Sunday, April 14 at 2 p.m. to listen to The Poetry of Carl Sandburg, Music of Chris Vallillo at the Elmhurst History Museum. The one-hour concert features selections from Sandburg’s popular “American Songbag” and his poetry, as well as some of Vallillo’s original music. 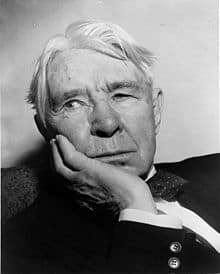 This year marks the 100thanniversary of Sandburg moving to Elmhurst in and receiving the 1919 Pulitzer Prize. At Elmhurst Toyota, we think this concert will appeal to everyone in the family. It’s an opportunity to celebrate the life’s work of one of Illinois’s many illustrious native sons. When Sandburg presented lectures and poetry readings, he would often bring his guitar and sing songs. Long before the revival of American folk music in the 1940s, he recorded his own versions of popular folk songs. Multi-talented singer, songwriter and musician Chris Vallillo has been compared to Sandburg in terms of his guitar playing and singing style. Vallillo has lived in the Midwest for over 30 years, and his music reflects the people of rural America as well as the places where they live. Vallillo plays traditional and contemporary folk and bluegrass music accompanied by the harmonica, bottleneck slide and six-string guitar. At The Poetry of Carl Sandburg, Music of Chris Vallillo concert, you’ll hear music that tells the stories of the American Midwest. Make plans now to attend! Get your tickets at tinyurl.com/yxbde5qc. This concert is partly funded by a grant from the Illinois Arts Council Agency. April 14, 2019, 2-3 p.m. The price of admission is $5 per person plus Eventbrite fees. Call 630-530-6879 or visit www.elmhursthistory.org.